Last week, I wrote a review of William Waltz’s Adventures in the Lost Interiors of America, which focused on the differences between a naturalist’s and a poet’s use of nature. In the former instance, the man of science observes and categorizes the natural world in order to demystify and, thus, command it; in the latter instance, the poet revels in its mysteriousness and unquantifiable aspects in order to create an art imbued with the unknown. 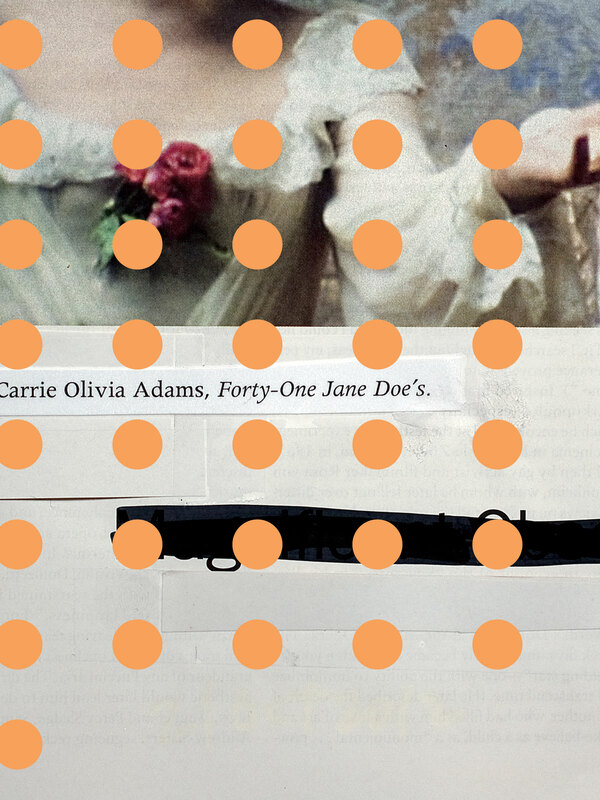 Immediately after reading Waltz’s collection, I read Carrie Olivia Adams’ second full-length book of poetry Forty-One Jane Doe’s (Ahsahta Press, 2013). I reference Waltz’s Interiors not simply because it was the book I read immediately preceding Adams’ collection, but primarily due to the fact that the two books contain thematic echoes. Whereas Waltz juxtaposes the poet and the naturalist, Adams explores the relationships between the poet and mathematicians/scientists. The speaker runs what one could call an experiment on love in order to discover its “meaning.” Of course, once she conducts the experiment (i.e. “makes love”), she realizes that “This does not answer / the question.” No, love is not something that one can capture or define through a series of tests. It is something too ethereal for such operations. What do you do during the daylight? Do you train your telescope on people across the way? Are you curious at all about earthly perambulations? Do you chart them—map them—trace them from point to point with a protractor in the same way? The Astronomer stands at a distance from the populace, charting and mapping their “earthly perambulations” with a telescope and a protractor. In need of an answer to the question “why do people make love,” the speaker realizes that “It was a foolish question” to ask her correspondent because love cannot be gauged by or through the instruments of science. Again, love is something too ineffable for empiricism to categorize or gauge. There is something inherently mysterious or otherworldly about a voice crossing the ocean. No doubt, science can find a way to demystify this question regarding “how sound travels / across it”; and, in many instances, such exacting scientific knowledge is of importance to us as human beings. But, in other instances, the poetic explanation, that of a voice travelling on the “tips of the waves,” or as “moths that flutter towards your ears,” offers readers something much more poignant and, certainly, more beautiful. And, yes, this sea is poetry.